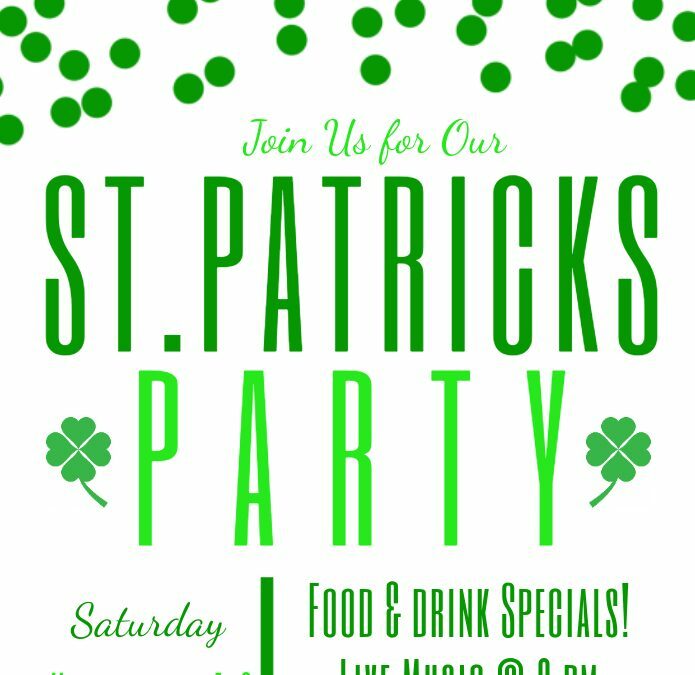 St. Patrick’s Party at Open Range! Join Us For a Night of Fun! Dinner & Drink Specials Start at 5 p.m.! Covington Groove Will Be Hitting the Stage at 9 p.m. To Keep The Night Going! $5 Cover Charge Starts at 9 p.m.